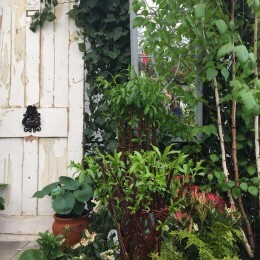 Gardening Tips > October > Delicious compact fruit trees perfect for the patio! There are few things that can rival the pleasure of stepping into your garden and harvesting your own home-grown fresh fruit. 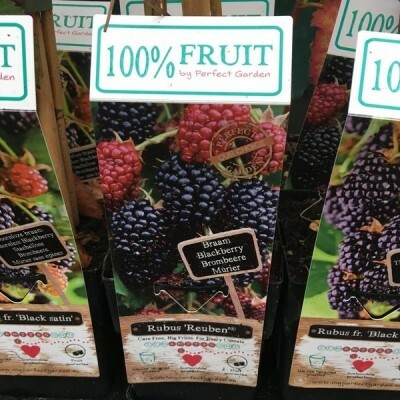 By growing your own fruit you are not only saving money but you will also be able to enjoy a more nutritious crop with a far superior flavour than something purchased from a supermarket. Whatever the size of your garden it is very easy to grow your own fruit trees and bushes, even on a small balcony or patio. 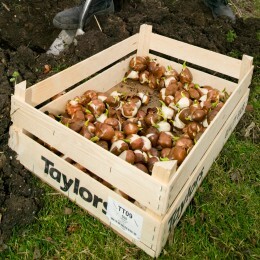 Many fruit varieties have now been bred especially for small spaces and for planting in pots. 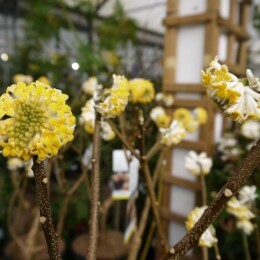 So long as they are kept well-watered and fertilized regularly in summer then they will grow quite happily. 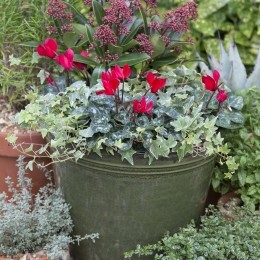 When choosing your pot, ensure it has drainage holes, and that it is a good size – big enough to hold a good amount of compost which will supply your plants with sufficient moisture and nutrients. When buying a fruit tree you may often spot that it contains information regarding its ‘rootstock’. If allowed to grow naturally, most fruit trees would reach heights of at least 4.5m (15ft). It is now common practice for fruit trees to be grafted onto the roots of a related species with a more compact habit. This allows us to limit the height of a fruit tree and will allow us to grow them in a smaller space than if they were grown on their own roots. 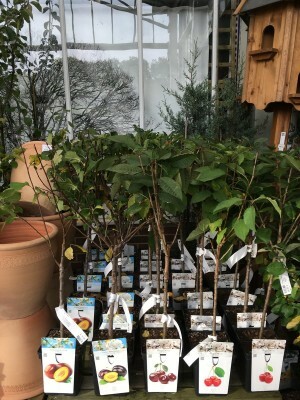 Patio apple and pear trees are perfect for small spaces as they are grafted onto dwarfing rootstocks. 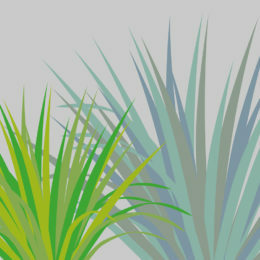 This will reduce the ultimate size of the tree to such an extent that it will happily grow in a container on your patio. Select a self-fertile variety or grow in pairs to promote pollination. Known as ‘superfoods’ due to their high vitamin content, blueberries are perfect for growing in pots. Blueberries can be fussy to grow in the ground as they require acidic compost but keeping them in a pot makes this easier to control as you can plant them in ericaceous compost. Blueberries are considered to be self-fertile but planting two will typically produce a much larger crop. 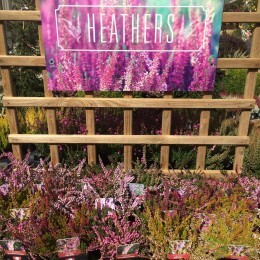 As well as providing delicious fruits, blueberries also provide long lasting interest as they boast attractive flowers and their foliage has wonderful fiery autumn colour. Strawberries are one of the easiest fruits to grow and are perfect for growing in a range of containers to suit even the smallest spot on a balcony. Make the most of any vertical space by planting strawberries in hanging baskets or vertical planting pockets. Keep them well fed and watered and you will quickly be rewarded with a bumper crop. 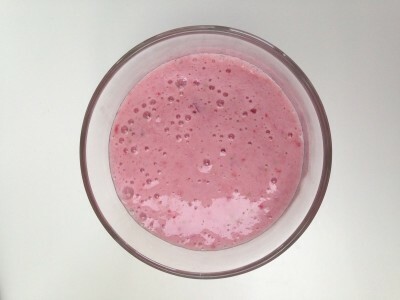 You can’t beat a fresh smoothie made with homegrown fruit! 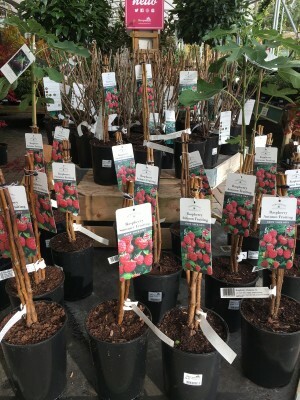 It is easy to assume that you can’t grow raspberries in a small space as they are so sprawling and are traditionally grown in vast rows along wires. 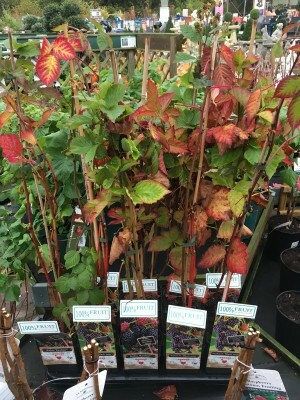 However, autumn fruiting raspberries are perfect for planting in pots as they are self-supporting and a new dwarf variety of summer raspberry has recently been introduced. ‘Ruby Beauty’ is a thornless dwarf raspberry and will grow just 90cm (3ft) tall. In spite of its small size, just one plant can produce around 1.5kg of raspberries! Raspberry ‘Octavia’ – late fruiting with great taste!